Kevin has been climbing since the late 90s and is one of the nicest guys around. 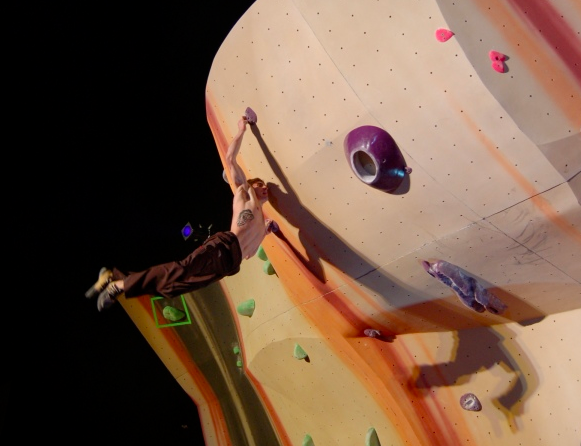 He began setting at Rocknasium in Davis, California, and has since set problems on a couple of infamous Colorado homewalls. We brought him in to help us out during a comp this winter and he did such a good job that we decided to keep him! Kevin running a lap on Bierstadt at Mount Evans. Kevin is strong, but he appreciates climbing for climbing’s sake and it’s hard to get him to talk about the hard problems he’s climbed. 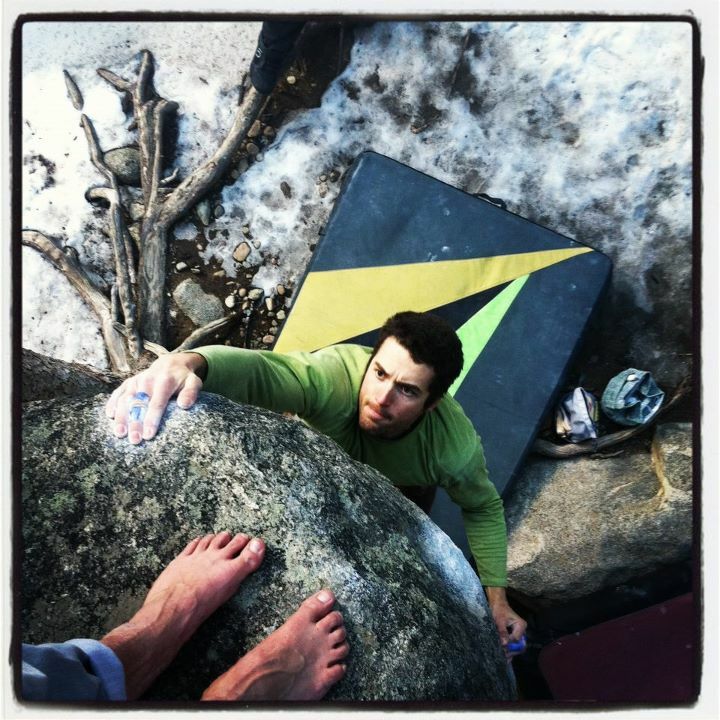 Last summer, for example, he did his first V14 with Big Worm and he also made the 5th ascent of the super highball V13 Sunseeker, both at Mount Evans. 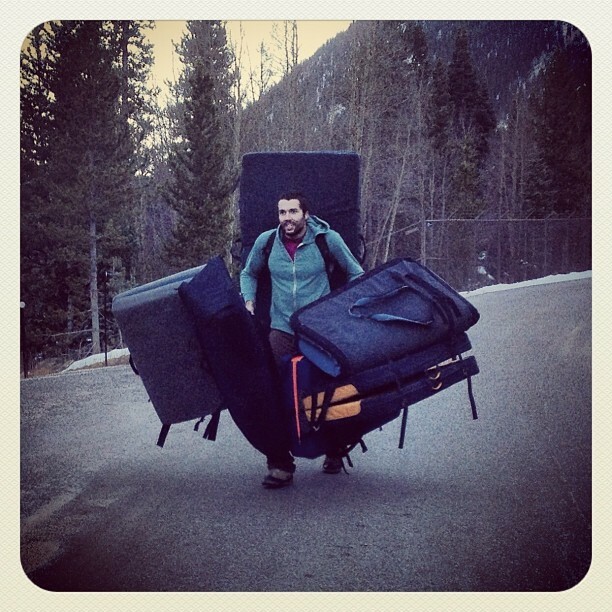 Kevin carrying lots of pads. 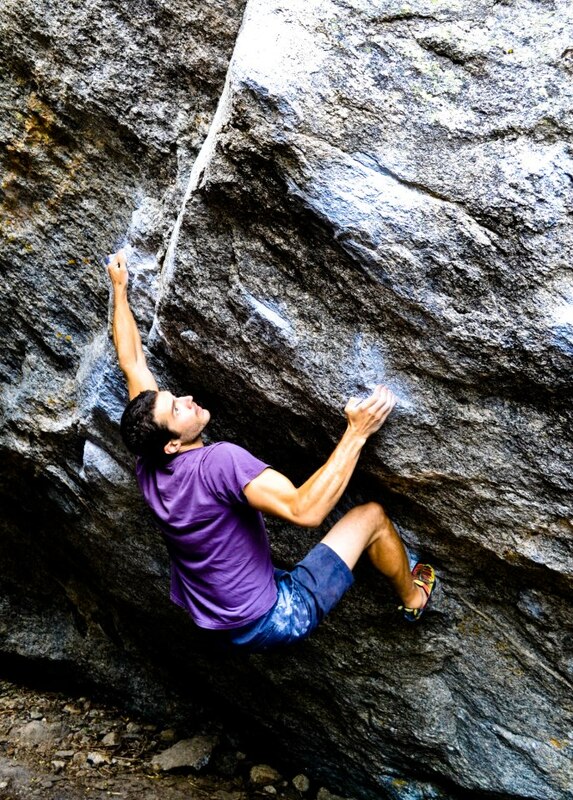 He’s spent seasons helping develop Yosemite bouldering and has helped countless friends with their projects through the support of beta, spots, and hiking in lots of pads. 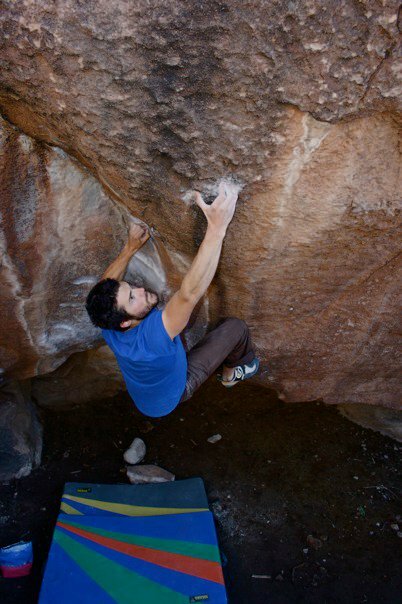 He’s a guide at Hueco where he’s taken hundreds of folks out climbing. At home and in the off season he’s always working to better himself–he’s experimented with all kinds of climbing and weight training and is personal trainer to more than one of our setters. In addition to all of this, Kevin is a fantastic baker and is always bringing in cookies, cakes, tarts, pies, and other treats. 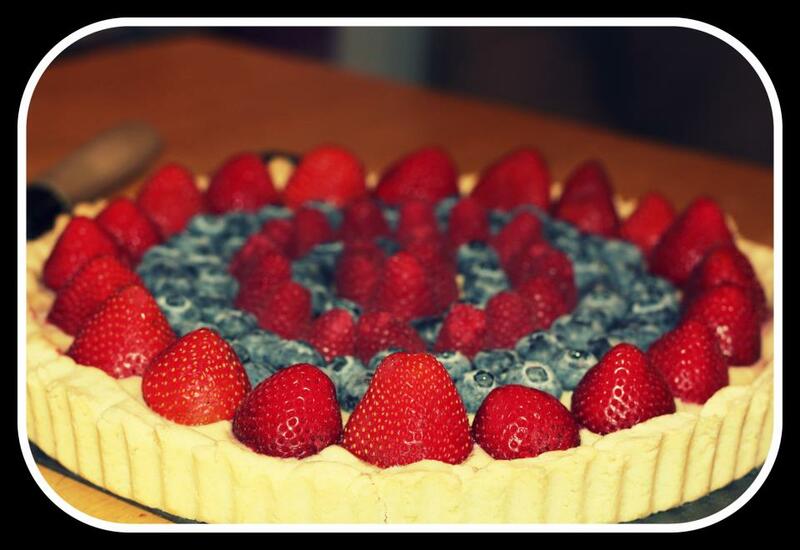 Kevin made this tart. Shay Skinner took this photo of it before we ate it. 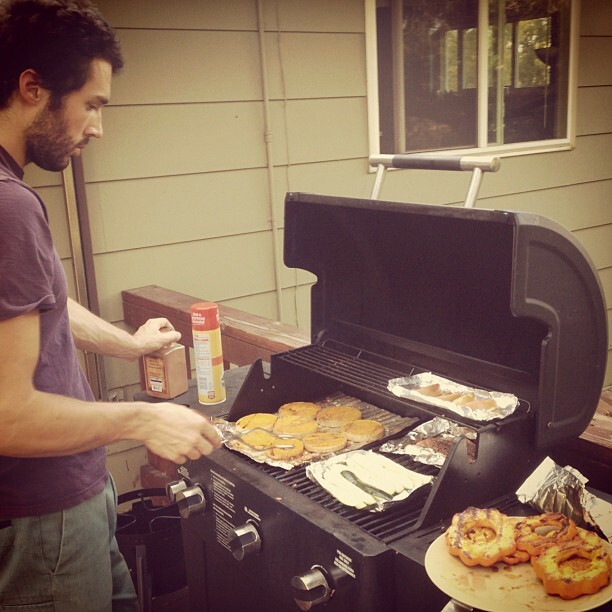 Kevin is also handy on the bbq. Kevin also has a gigantic fuzzy dog named Royal. 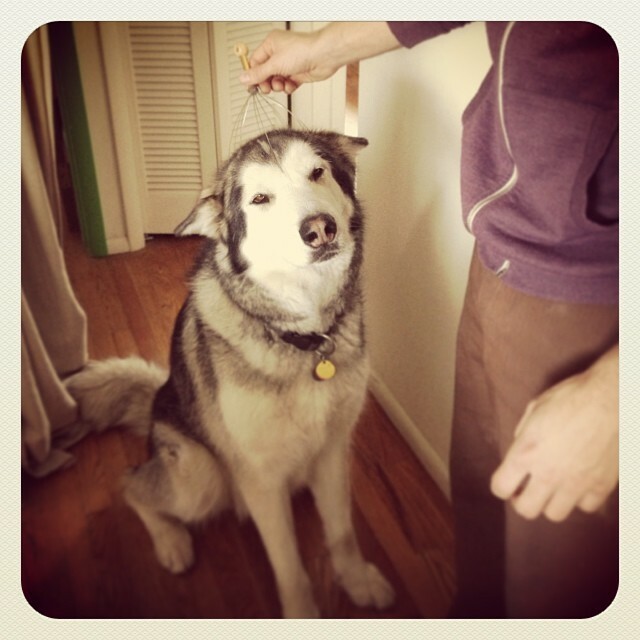 Royal likes the head massager. We love having Kevin around and we hope you love his problems! 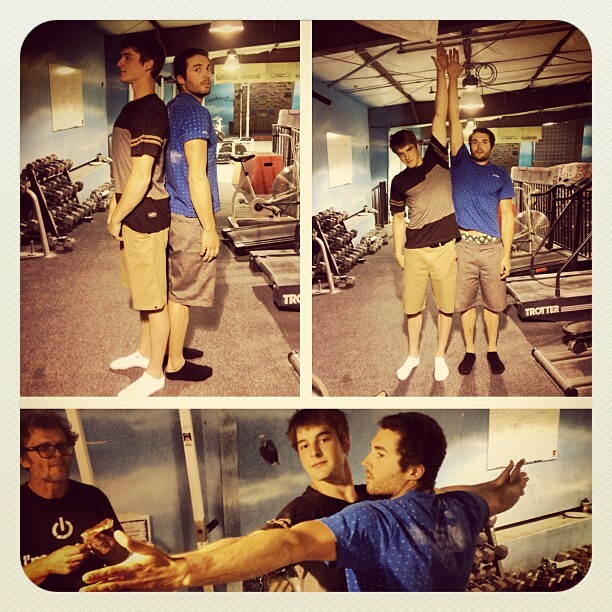 Kevin is the biggest guy on our crew, but he’s not quite as big as Jan Hojer!